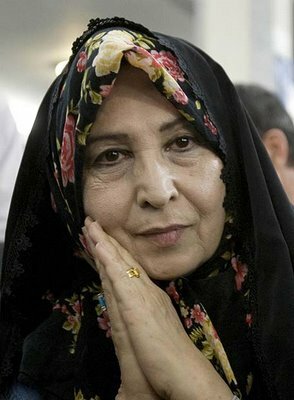 Madame Rahnavard, this morning I was having some coffee and reading various news about the waves of defenseless people on death row in Iran. Then, the thought came to me that the institutions of mankind's religions are not at all where we can find the presence of the Creator's Spirit or Heart. Except for a very tiny remnant, they've become palaces filled with ignorant, heartless, women-fearing executioners, the world's most ridiculous hypocrites, and closeted pedophiles and rapists. Don't you agree that our progress and evolution as a whole is being held back because billions of people, for whatever reason, are still feeding into the false myth that these spiritually hollow, love-vacant institutions are speaking with divine authority? Until humanity, and Iran, resolves this, the same patterns will keep repeating themselves. I am reminded of the Gospel story about Jesus leaving the House of God in Jerusalem, and saying that it was desolate. From eight centuries ago, Mowlana Jalal'uddin Rumi still calls upon us to go beyond the outer rigid shell of human-altered religion, and find the beautiful face of the Beloved in our hearts. I send this to you with love!